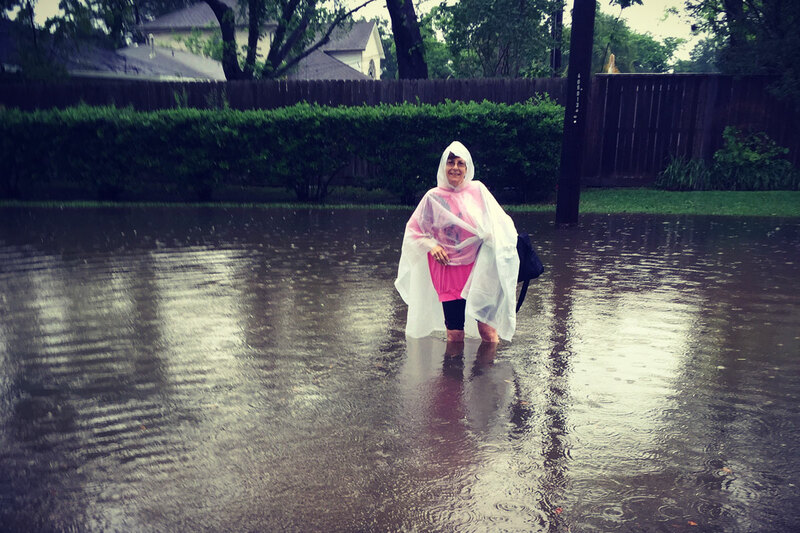 For the second time in less than a year, we here in Houston experienced a flood described by the news media as “of historic dimensions.” Fortunately, my family escaped significant damage or injury, but many others didn’t. The whole city experienced disruption, at a minimum. In 2008 Houston was devastated by Hurricane Ike and I didn’t have electrical power in my home office for 3 weeks. Decades before that the law firm of my then husband got locked out of their offices for four months due to a fire on a different floor of their office building. The fire exposed asbestos that made it unsafe for all the building occupants until it could be remediated. If your firm has never experienced disruption beyond your control, thank your lucky stars and hold your breath. (Watch out if you live or work in one of the 10 most disaster prone states.) In only the first quarter of 2016 the Federal Emergency Management Association (“FEMA”) has already recorded 29 disaster or emergency declarations across the country. A disaster preparedness plan is an essential element of law practice management. After experiencing Hurricane Irene in 2011, Susan Cartier Liebel wrote about having a communication plan for emergencies. Here are a few more items to consider including in your plan. Evacuation meeting place. A disaster like a fire, explosion or terrorist attack may require the sudden evacuation of your business premises. Establish a safe place to meet up outside the premises so that you can determine whether everyone is accounted for and able to receive necessary aid. Designated number to call for instructions. As Susan discussed, have a blog, website or other location where instructions will be posted. When electricity is off across the city, however, instructions on a voicemail may be the only communication that some people can access. Access to files. Make sure you can access your files from a safe location. Today that usually means keeping a digital copy of your files, backed up or stored remotely. If your building or your city experiences a disastrous fire, flood, tornado, etc., your physical files could be destroyed or at least inaccessible for an extended period of time. Be sure that you can also find the myriad passwords required to access your data, software and services. Some lawyers choose to use a password manager so that they only have to remember one master password. Client deadlines and next actions. If you rely on a paper to-do list on your desk, you’ll have a hard time reconstructing what needs to happen next on each client matter. It will be much easier to prioritize under stress if you have accessible electronic versions of your calendar, to-do list and delegated activities. Accounting. I still encounter solo practitioners with the equivalent of a checkbook and a shoebox full of receipts. Your deductions can easily go up in smoke if you don’t have them backed up remotely. Even that separate backup hard drive won’t survive a fire or flood. If time records haven’t been entered contemporaneously, you’ll probably lose a lot of receivables. Don’t forget about your payables, including payroll. Failure to make important payments when due could have serious consequences. After reading this list, it should be evident that off-premises technology can be critical to the health of your law firm following a natural disaster. Another major key is your own emotional health. After Hurricane Ike, I wrote about a couple of concepts I relied on for restoring emotional equilibrium after a disaster. Rereading it today helped me recognize the stress I was still experiencing, and that I needed to lighten up a little. I hope you never need any of these tips. Or, if you do, that they have helped you get through the emergency because you were prepared in advance. This entry was posted in Guest Bloggers, Solo & Small Firm Practice and tagged Debra Bruce. Bookmark the permalink. Debra L. Bruce is president of Lawyer-Coach LLC , a law practice management coaching and training firm, and author of the Raising the Bar blog. She practiced law for 18 years before becoming the first Texas lawyer credentialed by the International Coach Federation (ICF). She has served as Vice-Chair of the Law Practice Management Committee of the State Bar of Texas and as leader of the Houston chapter of ICF. Debra is also a contributing author to How to Capture and Keep Clients, 2nd Edition: Marketing Strategies for Lawyers, recently published by the American Bar Association. Website | Twitter | Facebook | Blog. *Debra is available for a free half hour consultation to our annual students. ← Ten Years in the Law and Counting….